Serena and Carlo began planning their engagement session with me back in March when she mentioned she would like to have it in Ocean City. This is actually where they shared their first date as a couple (plus many more!) on the boardwalk, so it was super important for Serena that we incorporate some of the aesthetic and activities they love to do there. Serena and Carlo enjoy riding bikes along the beach and it was so much adding in that playful element to their session! 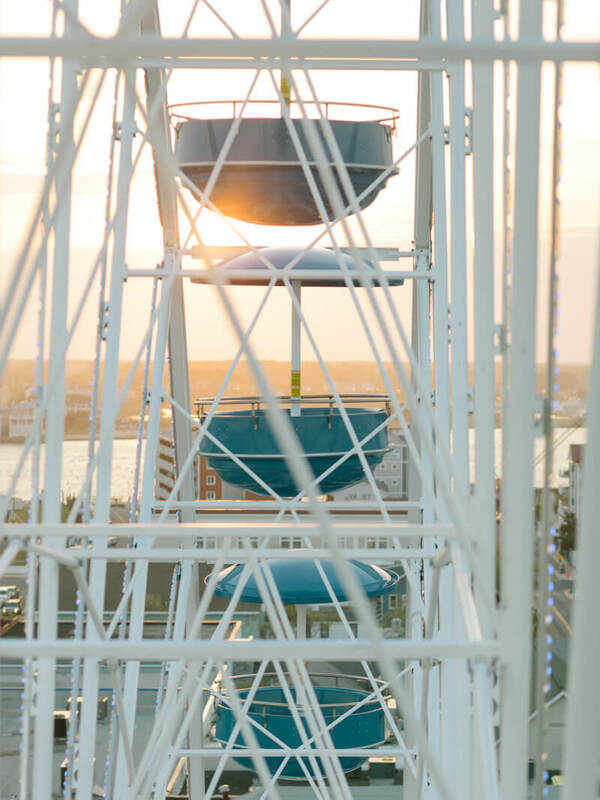 At the end of the shoot, we hopped on to the Jolly Roger Ferris wheel where Serena and Carlo shared their first kiss. This was such a sweet way to commemorate their love story and I know the couple will enjoy looking back on these images to remember that special day.